Last week we reported on a game-breaking bug in Europe and Japan that had wheedled its way into some copies of Pokémon X & Y, causing save data to corrupt and forcing the player to restart the game. The issue was unearthed when players saved their progress in certain areas of Lumiose City, causing the game to freeze upon trying to load the save file. Nintendo responded on the situation and said that a patch was in the works. 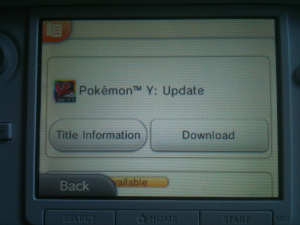 Thankfully, an update has been released on the 3DS eShop and is now available for download. Was this glitch super effective in corrupting your copy? Or did you manage to run away safely from this one? Let us know in the comment section below. Thanks for the heads up! It was very ilLumioseating. I have run away from this problem safely. So I don't think that I need to download this patch. I haven't had this problem either and I'm pretty sure I've (rather thoughtlessly) saved in the city a few times. Should I download the patch anyway just to be safe? I never ran into this problem but I'm downloading this just incase. Never ran into this problem, seeing as I never saved the game in the north/south boulevards of Luminose City. I downloaded the patch anyway just to be safe, especially as I don't want to risk losing the shiny Chatot I caught on the 2nd day of playing. I'll download this anyway to be safe. I might end up saving thoughtlessly only for the game to crash even though I never had the problem before. @DuplexGemini Exactly the same as me, except replace 'Chatot' with 'Pumpkaboo' and '2nd day' to '5th day'. @RainbowGazelle Here I am trying to do the Masuda Method and everyone else just stumbles upon shinies so soon! 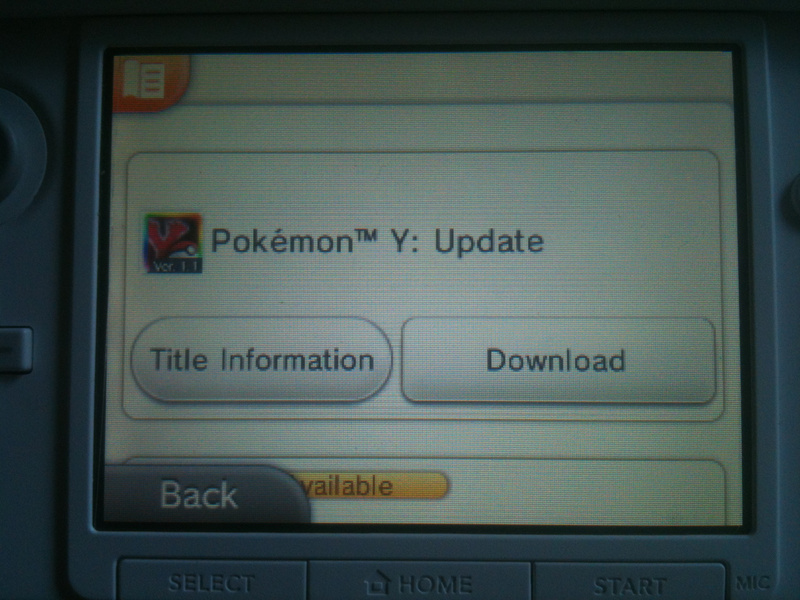 I didn't had any problems saving in Lumiose City but I think I have to download this update just in case. @The_Mod_MARVEL Yeah, I know a few people who hate me because of it. Thanks, Nintendo, i was right at the Central so it was nearing it. Right in time! @The_Mod_MARVEL There is a rumour going around the net that says giving more tips to the waiters/camera man/random people will increase your chance of getting a shiny. @The_Mod_MARVEL : You're jinxing it. Shinies come to you when you least expect them. @LichiRichi Doubt it. I found two already with only 5 badges, and i've only tipped about twice (minimum values). Never encountered the problem myself. Pretty sure I had saved in the city before word got out, but everything was fine. I hope this patch is well engineered and doesn't cause some other issue. @Pinkman Caught mine in a luxury ball. I think it's easy to catch because it's needed to progress the story. If you defeat or run away from it, it'll still be standing there to fight again. @RainbowGazelle I envy you for having a 6th gen shiny. Got my first one 40 hours in. It was a Phanpy that I found in the friend safari. A day later, I nabbed a Horsea off of Wonder Trade. Good to know. I hatched a shiny Fennekin (now a Delphox.) I would hate to lose it. @TwoSmoove People wonder trade Shiny Pokémon?! Wow! I heard that getting shinies is so much easy this time, 1/2000 instead of 1/8000 of previous versions. I would have rather to keep a low chance of getting one. I never had the problem because I never saved in Lumious City due to playing 3 hours my first time, I was at the second gym when I first saved. ^_^. I'm wondering, when are they going to patch in the ability to remove friends from the PSS? So I ran the qr code (never did that before) and it just goes into the shop, downloads, wrapped present, and then I couldn't escape the shop (home blocked) for like 15sec and then that's it. I guess it auto patches though it showed the usual wrapped gift? I've been barely touching it the last few days I've had it saving outside in route4 southeast of town if I go in. So is this just for Japan and Europe? Guess who can't seem to access the eShop? @LichiRichi Or that is just a rumour or I must be really really unlucky! Prevents errors which sometimes occur when using certain functions of the GTS (a feature allowing players all around the world to exchange Pokémon)." So everyone should get this patch, even if they aren't encountering the save bug. I never had problems either. But I downloaded it, just to be on the safe side. @Keep you know they may have slip one in.... Nintendo is sneaky like that! You may soon see it in one event or something! @Pinkman I caught Yveltal with the first Dusk ball i threw... Looks like i'll have no use for this Master ball. Won't bother with this unless I run into the issue. Glad they pushed out the fix so quickly! Thankfully, I never tried saving in Lumiose city, but thanks for the patch anyway! I never gphad this problem, but I'm going to get the patch reguardless. Ever since I downloaded this patch, my game crashes randomly when I either open up my menu, try to access my Pokemon or try look at their summaries. I still haven’t found a link for why this happens because it’ll happen in any city/area. When this issue does come up, I’ll delete the patch and redownload it and the bug is fixed for bit. After a few hours of gameplay though, it crashes again. So I redownload the patch and it’s fixed again but never permanently. The screen goes black when I open the menu and a message comes up saying something along the lines of “An error has occured. Restart the console. If the problem persists go to support.nintendo.com” Is anyone else having this issue? I’ve never experienced the Lumiose City glitch but I downloaded the patch because eshop said my game needed the repair, so I did it to be safe. But ever since, I’ve been experiencing this crash issue. Anyone have any info on this? @LichiRichi Ever since I read that I've tipped every one I could. Seems like shinies hate me. At least I've got mah Skitty. However, I will not stop! I'll make it rain in Kalos until ALL the shinies beg me to capture them! Bwahahahahaha! Oh. To bad I already reset the game. I'm still postponing playing the game though for now.